Be sure to enjoy recreational amenities including an outdoor pool and a 24-hour fitness center. Additional amenities at this property include complimentary wireless Internet access, concierge services, and babysitting/childcare (surcharge). Enjoy international cuisine at La Veranda /Ultra Casual, one of the property's 4 restaurants, or stay in and take advantage of the 24-hour room service. Snacks are also available at the coffee shop/café. Wind down with a drink at one of the 3 bars/lounges or 3 poolside bars. A complimentary buffet breakfast is served daily from 7 AM to 11:30 AM. 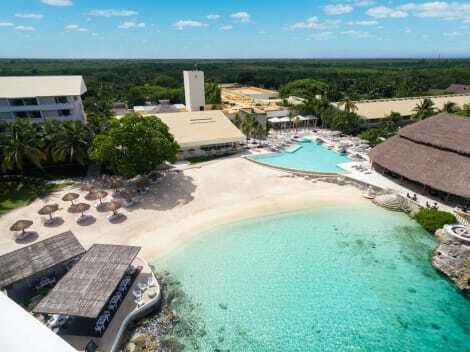 The InterContinental® Presidente Cozumel Resort & Spa hotel places you on a palm-fringed Caribbean island amid one of the world's largest coral reef systems. You can swim in our beachside infinity pool, relax in our serene spa, or host events in our elegant ballrooms or lush gardens. 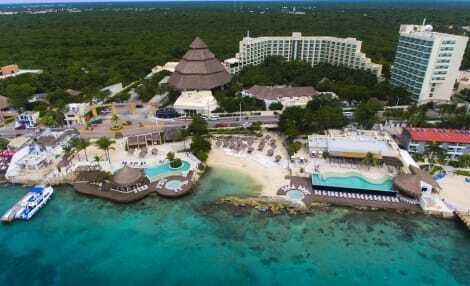 Dining options include gourmet Mexican, authentic Italian or contemporary Mediterranean cuisine, while the hotel's acclaimed Scuba Du dive center offers reef diving and snorkeling trips with expert instructors. Satisfy your appetite with regional cuisine at Lool Kan, a restaurant which features a bar and a pool view. Dining is also available at the coffee shop/café. Unwind at the end of the day with a drink at the beach bar or the poolside bar.